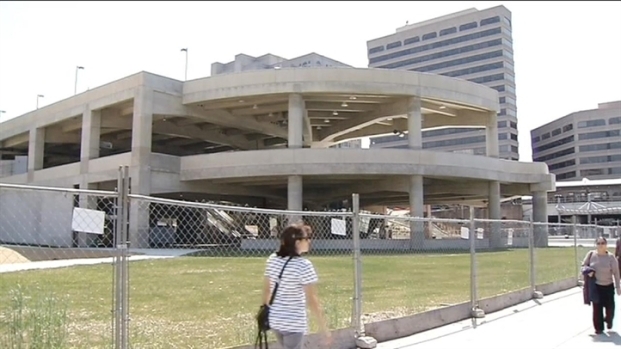 The troubled Silver Spring transit center -- which some residents are calling a "monument to inefficiency" -- is facing a whole lot more trouble. Metro said it will not operate the center at all, regardless of whatever repairs are made to the facility. In a letter sent from Metro to Montgomery County leaders, Metro Deputy General Manager Rob Troup said the deficiencies in the building "are of the magnitude and severity, that even if repaired would unnecessarily place an inordinate maintenance burden onto WMATA should the facility be accepted." The cost to maintain and operate the building outweighs everything else, according to Metro. In the letter, Metro said that if the building is fixed, it will run buses on it, but it is made clear that Metro wants its name off of the building. Montgomery County leaders now say parts of the troubled Silver Spring Transit Center will have to be replaced before a larger fix can go in place. News4 transportation reporter Adam Tuss has the story. The memo was first reported Thursday by the Washington Post. A county spokesperson told News4 that Metro's statement was more of an opening point of discussion, but Metro said Friday that it's standing firm. It will be up to the county to find another operator for the transit center. The transit center is years delayed and millions over budget -- starting at about $30 million and now coming in at about $120 million. It was supposed to open in 2009 as a hub for Metro, MARC trains and buses. Earlier this month, the Montgomery County Council approved another $7.5 million in funding, but that won't be the last time additional money is sought for the project, which is believed to have structural problems. Stay with News4 for the latest developments with the project.